This post is inspired by an astonishing story from NPR’s On the Media podcast. If you want more detail than I provide here, you’ll find listening well worth your time, as is the related New York Times article. I also talked with Peter Mello about this in our Weekly Leader Podcast 7. In 1972, just days after the Watergate break-in, a young New York Times Washington Bureau reporter named Bob Smith had lunch with L. Patrick Gray, then director of the FBI. 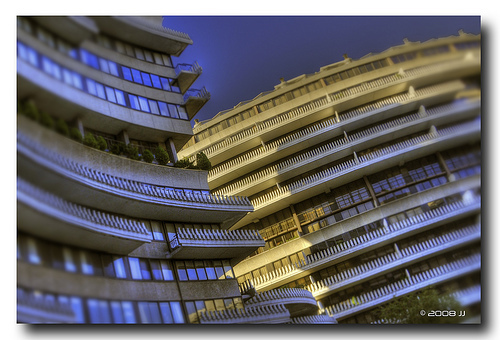 During the meal, Gray named the five Watergate co-conspirators and alluded to President Nixon’s involvement. Smith left for law school the next day, but not before he tape recorded his notes and met with a room full of high-octane reporters and his boss, Washington Bureau editor, Robert Phelps. Now here’s what’s so astonishing: Phelps, who has a book out soon, admits he lost the tape and his notes, and no one in the room took any action at all. The scoop of the century died, and all the glory went to Woodward and Bernstein of The Washington Post. How could a leader lose a scoop this big? Reflecting on this story, I began to wonder how many times a day in how many companies around the world this type of scenario plays out. In the midst of a meeting, for example, a junior person notes that the huge piece of equipment her division plans to buy has know been shown unreliable or that customer feedback on a new product is uniformly negative. The leader writes it down, the rest of the team nods, and nothing happens. Organizations put considerable effort into hiring and coaching promising young employees and then often fail to leverage the insights they offer. As in the case of Bob Smith and Robert Phelps, this neglect can be tremendously costly. 1. Pay attention to your junior people. They typically have the time, attention to detail, motivation, and “beginner’s mind” to identify a problem right under your nose. Borrowing from Mahan Khalsa’s advice in “Let’s Get Real or Let’s Not Play”, don’t speed through that yellow light. When information is confusing or conflicting, slow down. Ask questions. Drill down on the data. Don’t race forward on bad data or partial understanding. Instead, make the time you need to ask questions and think. End your meetings 5 minutes early and take that time to review priorities, calendar action items, and make explicit the implications of what you’ve heard. You can never assume the soundwaves hitting your ears automatically transform into value for the business. Figuring out which info is important and how to use it – well, that’s why the business needs you. Tagged with leadership, NY Times, watergate. Great post. I especially like the bit about slowing down. I also think that it's important to remember to relax and let others relax when necessary. A quick break can bring a fresh feel to a team, which can result in less "Watergate-sized whiff."